Partridgeberry is a perennial evergreen vining herb that grows scarlet berries. It prefers to grow in the shade in wooded areas. Seen here with moss. Partridgeberry (Mitchella repens) is an excellent uterine tonic herb for female fertility. If there could be one herb that stands out in its benefits for helping to prevent recurrent miscarriages due to a weak uterus, Partridgeberry is it! It is not a very well-known fertility herb, but its benefits for uterine health are important! One reason we love Partridgeberry so much is because when used correctly and at the proper dosage, it is very safe to use in pregnancy where miscarriage is concerned. It has also been used for hundreds of years by the Native Americans to prepare women for childbirth. Herbs that fall under that specific action are known as partus preparators. In addition to being used as a partus preparator, Partridgeberry was also used to relieve painful menstrual cramps, ease labor, and reduce labor pains, aiding in a smooth and efficient childbirth. In most cases miscarriage cannot be prevented, but sometimes herbs can be an ally for women who find themselves experiencing recurrent miscarriages. There are many reasons a miscarriage may happen. Partridgeberry is helpful when the woman is experiencing painful cramping, uterine spasm, bleeding, and/or passing of blood clots in the first trimester of pregnancy. Astringent: Helpful in reducing heavy menstrual bleeding and bleeding in pregnancy. Toning and supportive of the tissues of the body, mainly the uterus, ovaries, and urinary tract. Useful for adenomyosis, endometriosis, uterine fibroids, and ovarian cysts. Uterine Tonic: Helps the uterus to work smoothly and efficiently. 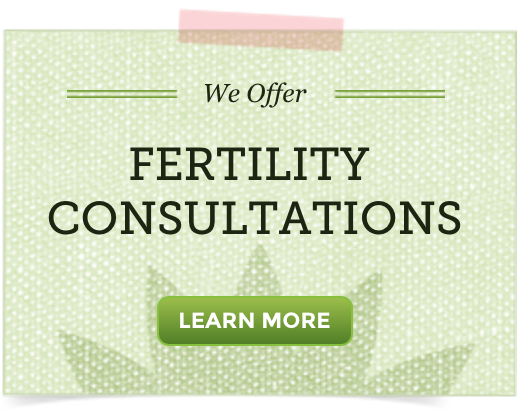 Partridgeberry is excellent for women who have experienced miscarriage in the past. It is best used for 3 months prior to trying to conceive to prepare the uterus for pregnancy. Emmenagogue: Used for hundreds of years to help regulate the menstrual cycle. This herb is excellent for treating a boggy, congested uterus present in conditions like endometriosis, adenomyosis, uterine fibroids, PCOS, absent period, and ovarian cysts. Parturient: Has been used for hundreds of years by midwives and herbalists to help bring on labor and to speed up labor. Styptic: Helps prevent hemorrhaging during childbirth. Reduces heavy menstrual bleeding also known as menorrhagia. Diuretic: Very helpful for treating urinary tract infections. It is also very helpful for people with irritable bowel syndrome (IBS), inflammatory bowel disease, diarrhea. There are countless first-hand stories and stories passed on by herbalists and midwives alike, accounting cases of Partridgeberry use for threatened miscarriage, where uterine contractions are present. It is best to only use this herb into pregnancy under the guidance of your midwife, herbalist, or naturopathic doctor. It is suggested that this formula should be started 3 months prior to conception and continued until at least 2 weeks past the latest weeks’ gestation of previous miscarriage (if the previous miscarriage occurred at 8 weeks, continue the formula until at least 10 weeks). You will need to work with an herbalist or naturopath so they can monitor your herbal program as some of these herbs have not been shown to be safe during pregnancy through studies. Herbalist Juliet Blankespoor of the Chestnut School of Herbal Medicine has her own threatened miscarriage prevention blend. She uses equal parts of Partridgeberry, Black Haw and Wild Yam: 20mL, 3-6 times a day. For threatened miscarriage or pre-term labor after the first trimester, Juliet has found that for women with irritable uteruses, worry about miscarriage with too frequent Braxton-hicks contractions, equal parts of Raspberry leaf and Partridgeberry tincture at 2-3 dropperfuls a day may be helpful. This would only be taken until the contractions subside. 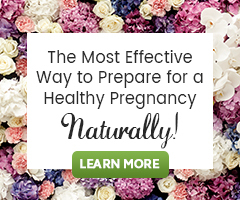 Our founder here at Natural-Fertility-Info.com, herbalist Hethir Rodriguez, has her own herbal formula that she created to support implantation and early pregnancy. It too contains Partridgeberry, along with Crampbark, Black Haw and Oat Flowers (Milky Oats). The herbs in UteriCalm have been shown to be safe to use in the first trimester of pregnancy, while the mother is under the care of an herbalist, ND, midwife and/or doctor that supports the use of natural therapies in pregnancy. They would be best used beginning 3 months prior to pregnancy, in preparation for conception and pregnancy, and then continued 2 weeks past a previous miscarriage. For example, if the last miscarriage was at 9 weeks, the formula should be continued up until the 11th week of pregnancy. Partridgeberry is a perennial evergreen vining herb. It grows scarlet berries. Herbalist Juliet Blankespoor says that the fresh berries “are not very sweet…more like a vegetable in flavoring..slightly sweet astringent cucumber.” It is native to and grows from Nova Scotia, Quebec, and down to Florida and Texas and as far west as Minnesota. Partridgeberry is also well known as Squaw Vine. It got this name because of its use by the indigenous peoples of eastern Canada and the United States. Today, squaw is considered a derogatory term, so it is best to call this herb by its other common name, Partridgeberry. Partridgeberry grows around the bottoms of wooded areas. It prefers shade. The United Plant Savers have Partridgeberry on their “to-watch” list. This means that the habitat of this plant is threatened. The eastern hemlock, which Mitchella repens loves to grow around, are all dying due to the wooly adelgid. This an invasive insect introduced from Asia. With the eastern hemlocks no longer able to provide shade for the Partridgeberry, the ecosystem in which they have thrived for thousands of years is changing. Because this plant’s habitat is changing and it’s thriving existence threatened, it is best to only use this herb when absolutely necessary as directed by your health care practitioner. Be sure that this plant is either grown organically or ethically wildcrafted. Partridgeberry is both cooling and drying. Because of this, it may be too drying and cooling for some people when used long-term. For situations like this, it combines well with demulcent/moistening herbs like Slippery Elm and Marshmallow root. Lust, J. B. (1974). The herb book. New York: Bantam Books. Chevallier, A. (1996). The Encyclopedia of Medicinal Plants. New York: DK Publishing.